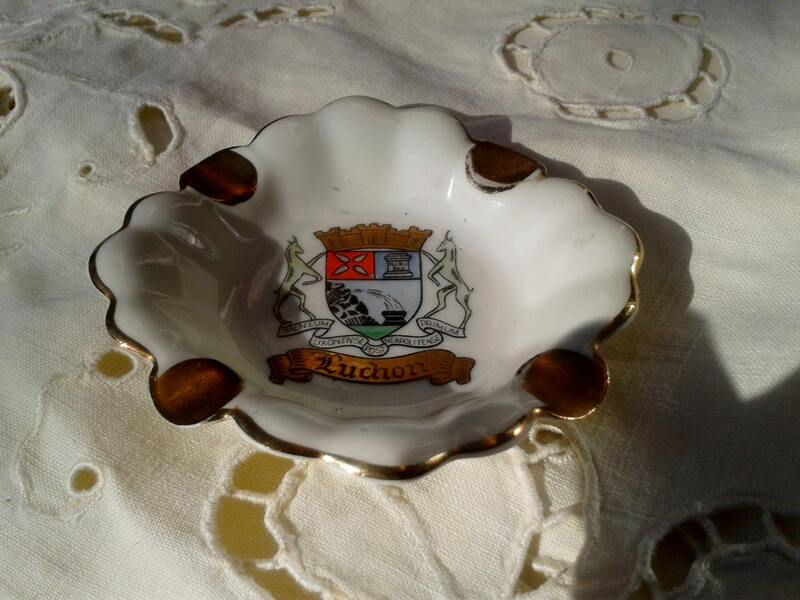 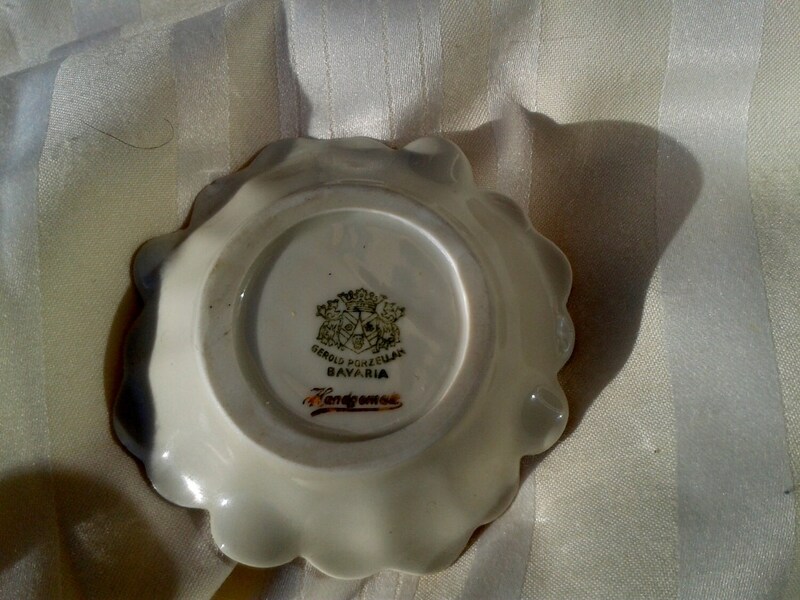 1937/ 1949 Gerold Bavaria Hand - painted marks rare ashtray from WWII era. 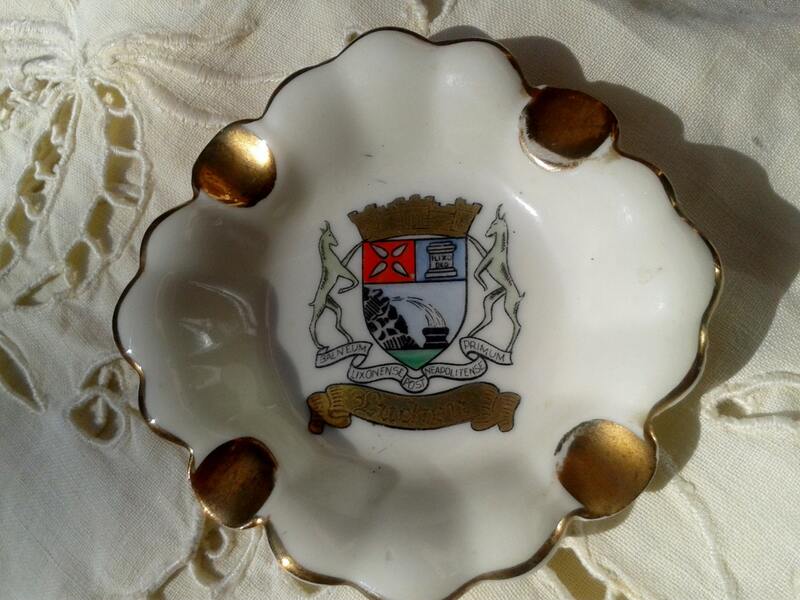 Gorgeous blazon from Luchon town in France with latin scriptures .Showing a crowned blazon with two chamois. 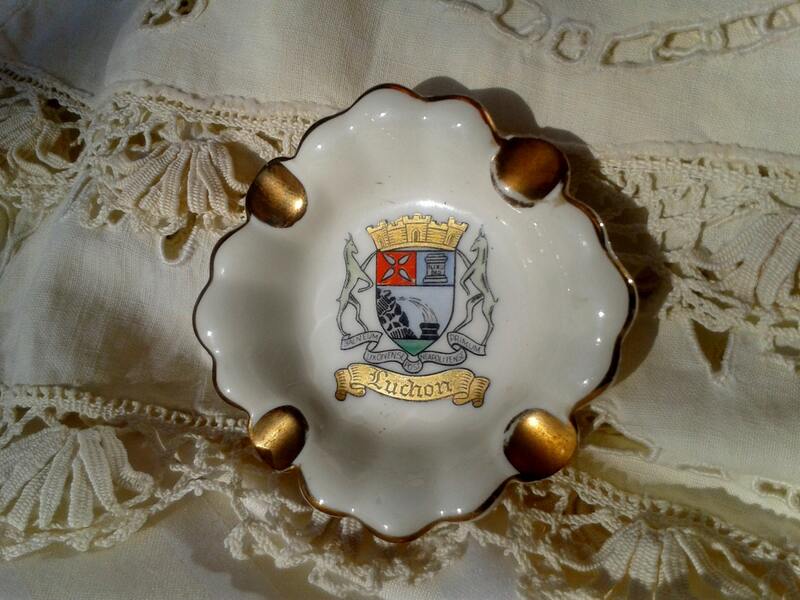 Lovely porcelain collectible gilded !